Does Your Brand Lack Authenticity? How Can This Affect Your PT Clinic? 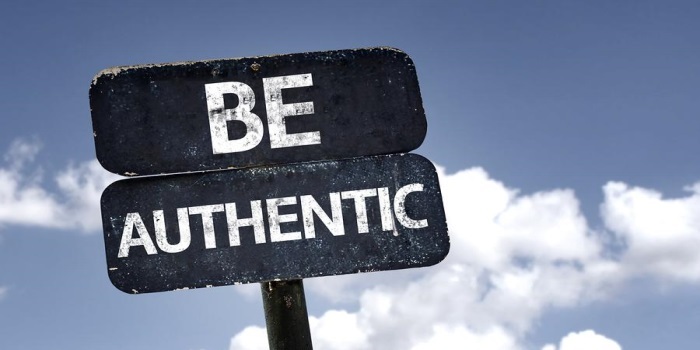 Authenticity is something that seems to be essential nowadays for all businesses in all industries. A decade ago, online marketing was all about getting more content into the search engines, keeping an eye on website visits and simply driving traffic to your website. While increasing website visits is still important for online marketing purposes, the smart, improved algorithms of search engines have started to dig deeper and look for real value that you deliver to your clients online. Just like more traffic doesn’t always equal more money, flooding the search engines with more content doesn’t add value to your clinic. Authenticity gives your physical therapy clinic personality in the online world. When a patient visits your clinic’s website for the first time, it’s just a place where he or she can get medical help. If you want that patient to become a returning visitor and a client though, you will have to offer something more than just medical help – you need to show what you stands for – a belief. The internet is so saturated today and there are so many clinics that patients can choose from that it’s hard to differentiate yourself. Besides, people have long stopped choosing brands that are just a part of the grey matter: your PT clinic needs to be unique in some way to attract more patients. Authenticity is important, but you must be careful not to push the matter too much. The thing is that if you try to be authentic too hard, you won’t be authentic at all. Authenticity shouldn’t be done by the rules: there are no strict guidelines to follow and even if there were, each business needs to be unique in its own way. In the online world, being authentic is more about delivering precisely what you promise to your patients, not just being a different clinic. Just like anything else, authenticity needs time and consistency to build up, but the effort is well worth it. Show your patients that you really care about your beliefs, their well-being and aren’t in it just for the money, and you will gain their trust. Honesty goes a long way. Moreover, honesty online is vital for success nowadays. People are a lot smarter today than they were a decade ago (largely due to the vast amounts of information being freely accessible online) and they have learnt to smell dishonest and false behavior from miles away. We are all human and we make mistakes that is understandable. However, when you try to mask your mistakes and failures, denying everything or trying to blame somebody else, you are digging your own grave. Taking a step forward and acknowledging your mistakes while doing everything to make up for them is the most important strategy to keep in mind. You might not win back the patient who was on the receiving end of bad service, but at least you won’t gain bad reputation online and more importantly, you will show people that you are an honest clinic that is not afraid of to admit mistakes. Authenticity is like an online currency – if you don’t have it, you won’t have much chance of being successful. The best advice when building authenticity is the following: Don’t try to appear as something you are not. You will get caught sooner or later and instantly lose everything you had achieved with your efforts. Act in the best interests of your patients and stick true to your values – that is the true power of authenticity. Here at PatientSites, we understand the importance of authenticity and help PT clinics create website designs that will reflect their uniqueness online in all of its greatness. Drop by and have a look at what we have to offer.